According to the EPA, the indoor air in your home can be 10 to 100 times more polluted than the air outside. There are three key components to a healthy home. 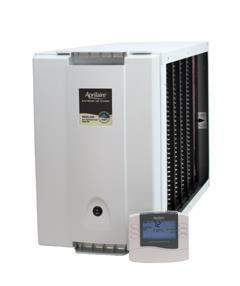 Your indoor air must be fresh, clean, and have the proper humidity: 30 to 45 percent relative humidity. Fresh outside air is rich in oxygen and is best used to flush your home of stale air, which is full of harmful airborne pollutants. Maintaining relative humidity between 30 to 45 percent prevents dust mite infestations, mold and mildew growth, and inhibits bacteria growth. It also reduces the release of “Volatile Organic Compounds” (VOCs). Your home is an air-tight envelope filled with pollutants such as glues, formaldehyde, detergents, chlorine, pet dander and dead skin cells. The only way to remove them is to capture them with your vacuum cleaner and furnace filter. Unfortunately, most HVAC systems use a one-inch filter, which is equivalent to vacuuming your home one time per year. With the right air filtration unit from Hughes Mechanical, we can make the difference for your family’s health, and with our services, you have many options. 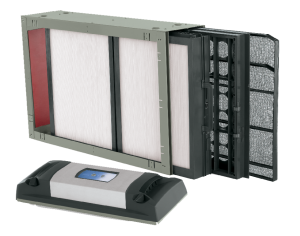 The first filter we have available is a hepa filter. They are the most efficient at removing the pollutants, but they are the most costly and require more space in your home. They run independently from your home’s HVAC system, but instead connect to your existing duct work. They are often used for surgery rooms. A large filter medium. One with a low air flow reduction is better. A “low” electronic field to prevent the production of ozone but still attract the particles. The third option is a media filter. A media filter is a larger filter with more surface area, located in an air-tight cabinet with out any electric field. This filter will last anywhere from six months to a year between filter changes. Media filters are affordable and cost effective, making them popular choices. Dry skin? Scratchy throat? Static hair? 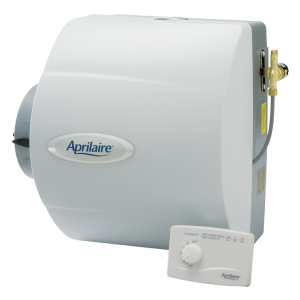 Whole-house humidifiers are often overlooked by many homeowners. Don’t let the dry Colorado winter air in your home cause discomfort in your life any longer. The experts at Hughes Mechanical can install and service your whole-house humidifier to add moisture back into your home. Humidity levels in your home should be between 30 and 45 percent. Too little humidity is uncomfortable and unhealthy for you and your home. Too much humidity can cause bacteria growth. Power and bypass humidifiers work great if you run your furnace fan all day, otherwise a steam humidifier could be the best choice.